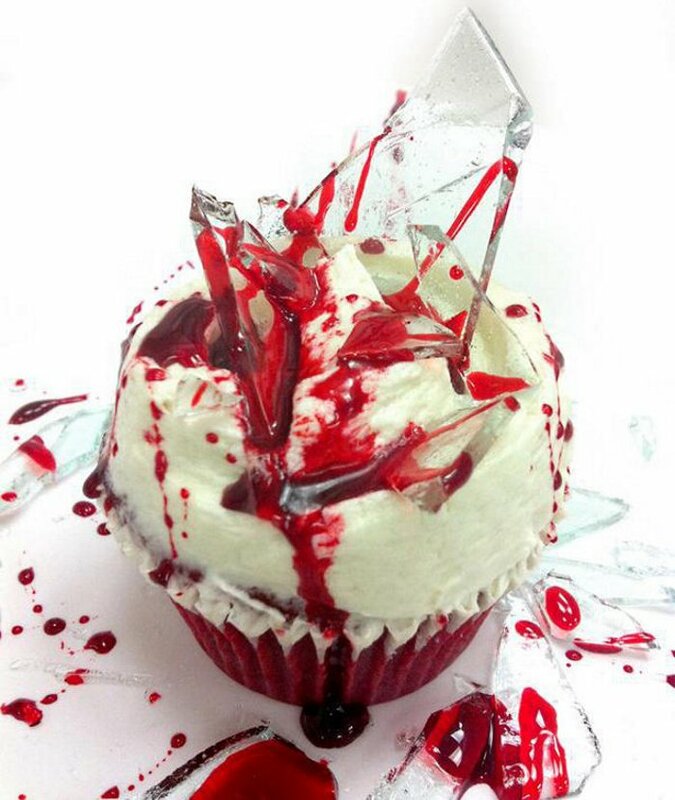 These Dexter-Themed Cupcakes Look Too Painful To Eat | OhGizmo! By Hazel Chua on 10/03/12 • Leave a comment! After a lengthy but much-deserved hiatus, everyone’s favorite serial killer is back for his seventh season on the small screen. Dexter isn’t afraid to shed a little blood (or, okay, make that a whole lot of blood) if he thinks that the person he’s after is guilty. And what better way to celebrate the season premiere with cupcakes that look almost too painful to eat? New York City’s Magnolia Bakery whipped up a batch of red velvet cupcakes that are generously topped with shards of broken glass. In keeping with the theme, the cupcakes were then drizzled with pig’s blood as a finishing touch. Appetizing, isn’t it? We’re just kidding, of course. The glass is actually clear candy glass and that’s just bloody-red syrup dripping from the frosted cupcakes. Yum!